Pete Wishart (Perth and North Perthshire) (SNP): It was 18 March 2003, and both you and I were in the House that day, Mr Deputy Speaker. It was an ugly, brutal day. It was one of these huge set-piece occasions that we have in the House of Commons when every single thing is reported and every single nuance noted. It was the day that we voted to go to war. I will never, ever forget it. I was a Whip that day, and I remember observing the Government Whips rounding up the recalcitrant, the doubters and those who were trying to make up their minds. I remember lots of good women and men being dragooned into the Lobby—against their better judgment —to support the Prime Minister and the fabrication of a case on Iraq. It was a horrible day—a day that should be ingrained in the collective consciousness of this House and remembered for its eternal shame. It was the day that we voted to go to war on a total fabrication, and we must find out why this House decided to do that. Mr MacNeil: I was not a Member of the House at that time, but my hon. Friend reminds me of the time when the then Deputy Prime Minister was arguing that the road map for Palestine was somehow connected to the maiming and the murder in Iraq. Pete Wishart: To try to get a flavour of what the House was like that day, I watched a YouTube video of Tony Blair’s speech that morning. I know that sounds a bit masochistic, but I wanted to find out what was said and what the case for war was. What I had to listen to was absolute and utter nonsense—fabrications and flights of fancy that Blair must have known were totally false and ridiculous. He said there were weapons of mass destruction that could, without doubt, reach us within 45 minutes. But there were none—there was nothing there. This House was misled; this House was duped. I have listened to Conservative Members saying that they believed the Prime Minister. The rest of the country knew. The rest of the country was not fooled by his mendacious nonsense—of course not. We were on a march in central Glasgow, and 100,000 people turned up to march against that war. Some 1 million people turned up in London to march against it. Yet this House voted to go to war on the basis of a lie—a House that was duped and misled. If anybody needs to know the reason why this House was misled, it is because of us, the parliamentarians. I am disappointed in the right hon. Member for Haltemprice and Howden (Mr Davis). He should not have changed his motion. We should have demanded today that we got that report. I do not want to hear the reasons why we are not getting it. I do not want to hear about the process of getting it in the future—we should have it now. We should have it before the general election, and this suggestion that it is political and somehow gets in the way of a democratic process in the run-up to an election is just fatuous nonsense. Kate Hoey (Vauxhall) (Lab): I, too, recall that day, and I concur with everything the hon. Gentleman says about how people who were feeling very strongly about the issue were pushed and cajoled, with notes and letters being sent asking me to meet all sorts of people. Does he agree that this tells us the lesson that this House must always be very careful that the Whips and the party machine do not always get their way? Pete Wishart: I am very grateful to the hon. Lady, who makes such a powerful and potent point about something as important as going to war. I was just a new Member, having been in the House for just a year; I was a young whippersnapper barely out of my shorts, yet I was listening to a Prime Minister making this case. I thought, “Surely, there must be something in it,” but I realise now, along with many other Members, that an issue as important as going to war should not have been whipped on this basis. The House passed the vote on Iraq by 412 to 149. I was among the 149; my right hon. Friend the Member for Dwyfor Meirionnydd (Mr Llwyd) was among the 149; I see two Liberal Democrat Members in their places —the right hon. Member for Hazel Grove (Sir Andrew Stunell) and the right hon. Member for Lewes (Norman Baker)—who were among the 149. This was the proudest vote of my 14 years in this House. It was a vote that defined the Parliament between 2001 to 2005. It was a vote, I now believe, that characterised the Labour Government. It was a vote that is now personally associated with Tony Blair, and it will follow him to the grave and be on his tombstone. Such his association with it that he might as well have it tattooed on his forehead. The Iraq war will for ever be bound up with the last Labour Government and the personality of the last but one Prime Minister. Rory Stewart: Is there not a danger of this debate becoming an opportunity for self-congratulation or self-laceration on the part of Members of Parliament rather than focusing on the real lessons for how Britain acts in the world? Pete Wishart: I want to come on to that; it is so important because this House was misled. I do not know whether the hon. Gentleman agrees with that, but I am sure that, as someone who looks at and understands these issues, he knows that this was a total fabrication. I see him shaking his head. The case for war was non-existent. We have got to understand why a majority of Members voted for it. We have to start to get to the bottom of why this was allowed to happen. We are still feeling the implications and repercussions: half a million presumed dead; a region destabilised; a country divided; international diplomacy discredited. A point that the hon. Member for Bradford West (George Galloway) made was that we have alienated a generation of young Muslims—here and around the world—dangerously radicalising many of them, giving them a grievance for some of the perverted causes that have been picked up to justify what they see as their perverted agenda. These are things that we now have to deal with for our own security. That is what Iraq bequeathed us. We have got to find out how this happened and why this set of conditions was allowed, enabling us to pursue this particular course of action. I remember the almost ingenious lengths to which the Labour Government went to try to invent this case. I remember that the House was recalled. It was not just that day in March; we were recalled in September of the previous year. We were told to come down and find in our pigeon-holes the document that subsequently became known as “the dodgy dossier”—100-odd pages of utter drivel, manufactured fabrications and plagiarised sources. We found that most of it came from the post-doctoral work of some student called Ibrahim al-Marashi. It almost seemed like a script for a comedy sketch, yet this was the UK getting prepared to go to war in the 21st century! We now know, of course, that there were never any weapons of mass destruction—still less any that could be deployed in 45 minutes. There was no collusion with al-Qaeda, even though jihadists now wander at will in the IS forces across Iraq. There was no evidence of any uranium project, and nothing whatsoever could be found relating to any nuclear programme. We were misled; this House was misled. There are several Members in the House who understand and realise that they were duped, but there are still some who believe that it was right to go to war. I am very fond of the right hon. Member for Blackburn (Mr Straw), but he must at some point say that this was a total fabrication, that the House was misled, and that a case was fabricated to go to war. The sooner the right hon. Gentleman does that, the sooner he will get himself off the hook, because this will pursue him, and the others who made the case for war, to the very end of their careers. I do not think that the issue will end with the publication of the Chilcot report. We seen had four whitewashes—there have been four attempts to put this to bed—but it is not going to end. We will have the Chilcot report, but I do not think that it will get us there; I think it will be another generation before we get to the truth of Iraq. It is possible that there will be a judge-led inquiry, and that might help to get us there, but this is going to go all the way. I foresee that significant people will eventually be taken to The Hague, because this is such an important issue which has redefined so much contemporary foreign history. People say that it was a disaster bigger than Suez—of course it was. This was the biggest single foreign policy blunder and disaster ever made by any Government in modern history. So we need the Chilcot report. Do I believe that it we will get us to the heart of this with the Chilcot report? No, I do not, but I think it will go a long way towards describing and explaining some of the things that happened. It will be another generation before we arrive at the absolute truth. There are too many big reputations to be tarnished—again, I say that to the right hon. Member for Blackburn. There are people who will be in a position to try to ensure that this is kicked into the long grass. The only reason I have any confidence in the Chilcot report is that the establishment is trying to prevent us from seeing it, so there must be something good in it. I hope that that means that we may get a glimpse into the workings of this Government. We are where we are. We hope that we shall see the Chilcot report soon. We should have demanded its publication in this debate, and I am disappointed that we have not been given an opportunity to do so. However, I do not think that the report will be the end of the process. I believe that this will go all the way to The Hague. We engaged in an illegal war on the basis of a fabrication and a downright lie, and we deserve to know the truth. 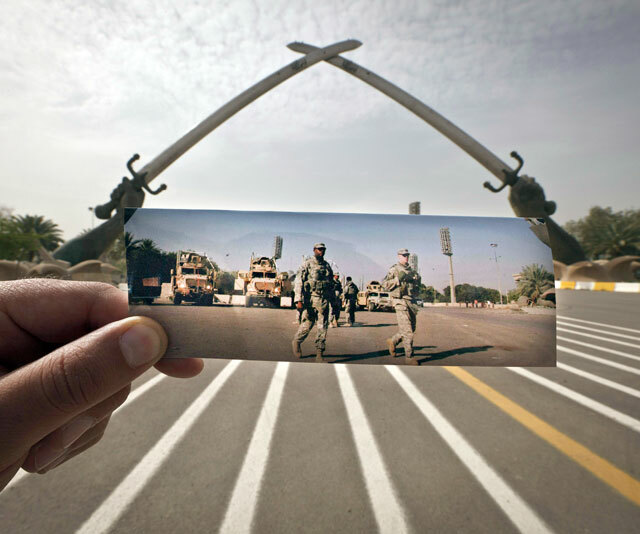 Some day we will get the truth, but I do not believe that we will get it from Chilcot. This entry was posted in Uncategorized on January 30, 2015 by petewishart. “Mr Alexander is a Secretary of State and he really should be seen to be acting responsibly. He must acknowledge and accept the findings in this report and publicly acknowledge that the cameras have improved safety. This entry was posted in Uncategorized on January 26, 2015 by petewishart. Pete Wishart (Perth and North Perthshire) (SNP): It is a pleasure to follow the hon. Member for Harwich and North Essex (Mr Jenkin). I listened very carefully to his words, as I did with all the other Conservative hawks. Indeed, we have heard a few Labour hawks, too. I say to him that there is at least an intellectual consistency running through the heart of the debate. We heard it during the period of high Thatcherism when there was a real and substantial threat and we knew what we were up against with the Soviet Union. We are hearing it again now, but we do not know from where the threat is coming or from what we are trying to protect ourselves. I have no idea at whom these weapons will be targeted. Even if we had a nirvana of world peace, we would still have the Tory hawks arguing for their nuclear weapons. They would be telling us why they were an absolute necessity and why the deterrent would have to be a feature of every community in our country. I want to get back to what motivates us. I know what motivates the hawks on the Tory Benches. They like their nuclear weapons—of course they do—and they think they are an important feature of this country. But we all come to this matter with a set of principles—a value system—that helps to inform the important decisions that we have to take as public representatives and legislators. That is our political and moral compass, and it helps us to determine our approach to public life and the important decisions that we take in this House. Nothing is more important to me than my fundamental belief, desire and drive to rid my country of nuclear weapons and to end the absurdity, nonsense and madness of nuclear deterrence. For me, it is an unshakeable imperative and a moral, non-negotiable responsibility. I could never countenance agreeing to have nuclear weapons as an ongoing feature of my nation. Pete Wishart: Yes, I know what the hon. Gentleman is going to say, so let us get it over with. Mr Jones: The hon. Gentleman said that he had a principled position to rid Scotland of nuclear weapons, but he is prepared to join NATO, which is a nuclear alliance. Would he, as an SNP member in an independent Scotland, join the nuclear planning group and allow nuclear-armed submarines to visit Scotland? Pete Wishart: No, I will not give way. I have heard that so many times: Denmark, Norway, Spain. Canada, for goodness’ sake, got rid of American nuclear weapons and is still in NATO. The hon. Gentleman does not understand and I am not prepared to take an intervention from him. He is a stuck record, spinning round and round all day, and I think the whole House is sick of it. My peaceful Scotland is host to the largest silo of weapons of mass destruction in western Europe. 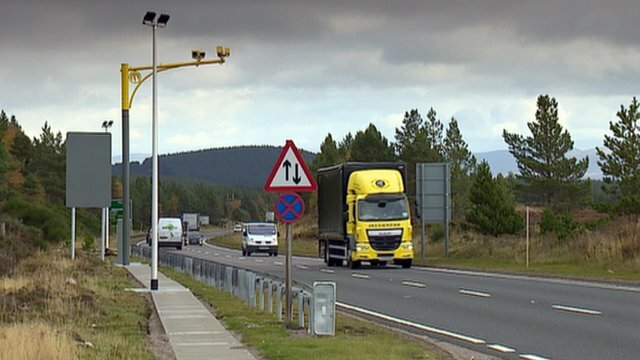 Lorries carrying all sorts of parts to service and keep this genocidal arsenal roll happily along the roads of Scotland almost unnoticed and untroubled with their death-maintaining cargo. Weapons of mass destruction such as Trident sit uneasily and angularly with everything I know about the fantastic values of my country. It is a country of social solidarity, trying to promote the common weal and strong community values, yet my country hosts the biggest arsenal of genocidal weapons in western Europe. Mr Mike Weir (Angus) (SNP): Is not the situation actually worse than that? A previous speaker talked about other nuclear installations around the country, but is it not the case that convoys are bringing these nuclear weapons through the city of Glasgow to get to Faslane? Pete Wishart: I heard, and I am sure my hon. Friend is aware of these reports, that these cargoes were being shipped through the city centre of Glasgow only last week. That is what we have to put up with in Scotland: these death convoys on our roads. I am so pleased that nuclear weapons and Trident became a defining iconic feature of the independence referendum. The progressive voices of Scotland got together and ensured that this debate was promoted and taken around the halls of Scotland. I am so proud that I was on the right side of the debate. I would never side with people who believe in nuclear weapons and who continue to support the case for them. We are not even asking the House to scrap nuclear weapons, or even to reduce their number. We are simply asking the House not to agree to £100 billion of new nuclear weapons. We use the terms multilateralist and unilateralist, but by committing ourselves to Trident renewal we are indulging in a unilateral nuclear rearmament. We are adding to the stock of nuclear weapons worldwide, and that does nothing for the ambition mentioned by those on the Labour Front Bench of ridding the world of nuclear weapons and it does nothing for achieving any multilateral aim. We are asking the House not to agree to pursue £100 billion of spending on weapons of mass destruction that can never be used. This will be the second time in two weeks that those on the Labour Front Bench and their colleagues will walk through the Lobby with the Tories. Last week, they committed themselves to £30 billion of further austerity, agreeing with the Conservatives. Today, they will march through the Lobby with the Tories to support them on the subject of £100 billion of spending on nuclear weapons. Last week, Labour said that it was all a gimmick. They have not described our debate today as a gimmick, although I have seen some reports of that, but they are still prepared to support the Conservatives on both issues. People are rightly asking what on earth Labour is for. We need to hear exactly what people believe will be the biggest spending issue of the next Parliament. Already, £250 million is being spent each year on what is called the assessment phase—the lead-in phase to Trident renewal. Some £1.4 million a day is being spent on preparing for this weapon of mass destruction and an estimated £1.24 billion has been spent on the project so far. That just happens to be the same amount as the Chancellor has pledged to find in new money for the NHS. We do not know how much this project will cost. We say that it will be £100 billion, but that figure was challenged by the Conservatives. The Secretary of State refused to say how much it would cost, and when he was challenged on the figure, we got nothing from him. We do not know the Government’s estimate of the cost of all this. They talk about the main-gate decision in 2016. I suggest to Ministers that they should slam that main gate closed and leave it padlocked. This country does not want Trident renewal. How can we justify spending so much money on obscene weapons of mass destruction when food banks are a feature of every community in every constituency in Scotland? The Westminster establishment parties have rarely been held in such contempt. The Westminster elite who run those parties can barely get more than 30% support in the polls. The Westminster establishment parties are so out of kilter with what the public want and the everyday experience of people in every community it is no wonder that they are held in such low esteem and that the House is held in contempt. The motion is signed by members of the SNP, the Green party and Plaid Cymru, which suggests that we are beginning to do something different. It is an absolute challenge to the old failure of the Westminster—Tory/Labour, Labour/Tory, austerity-voting, Trident-supporting —establishment. We offer the people of Britain the opportunity of a different way of doing things: a progressive alliance that is not prepared to accept that we just go along with £30 billion of further austerity spending and the renewal of Trident weapons. I am pleased about that, because it means that people in England, for example, do not have to vote for a Europhobic, immigrant-loathing, quasi-racist UK Independence party. They and my hon. Friend the Member for Brighton, Pavilion (Caroline Lucas) have something substantial to support and vote for. We have already seen the results, with a Green surge. No wonder that the Labour and Tory parties want Nigel Farage, another establishment public school banker, to take part in the election debates. It does not surprise me that they will do everything that they can to keep my hon. Friend and the SNP out of those debates, although the Prime Minister has stood up, rather late, for the inclusion of the Green party. Let us see what these weapons do, and challenge and test the assumptions of my friends, the Conservative defence hawks who enjoy nuclear weapons so much. 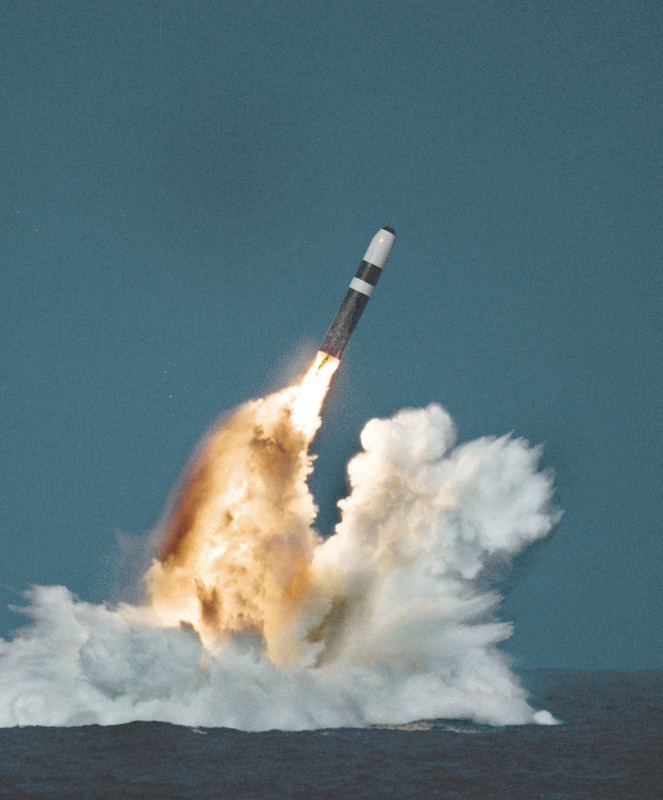 There were unashamed in saying that Trident and weapons of mass destruction were necessary as a virility symbol, allowing us to be part of the P5—as if the British people cared the least bit about any of that. The British people care about spending on the NHS and education. They are concerned about food banks. Being able to sit with other nuclear powers to play with their toys? I do not think that that is what the British people want, and we are beginning to see that in opinion polls here. We are told that deterrence works because of all sorts of external threats. We have heard some really dodgy stuff about the prospect of using nuclear weapons against Ukraine, and including that in any discussion or debate. Mr Jenkin: If France, Britain and America do not dominate the P5, who does? There is always talk about other powers joining the P5. If India, or perhaps less savoury countries, joined the P5, that would not be good for British security and the democratic world. We are there for a purpose, which is to serve the democratic world, and we do it very well. Pete Wishart: That is the difference between the hon. Gentleman and me. He believes that that is important, but I could not care less about that sort of thing. I believe that it is increasingly the case that the British people could not care less about that. We are struggling—there is real need and deprivation—with Tory obscenities like the bedroom tax. Does he honestly believe that people in the constituency of the hon. Member for Paisley and Renfrewshire North (Jim Sheridan) care whether they can sit around the table with the big boys and their weapons of mass destruction? No, I do not believe that that is the case, and the British people have begun to wake up to that. The Government say that nuclear weapons defend us against threats. The biggest threat we face is from IS and jihadists, who would be almost delighted if we threatened them with weapons of mass destruction. They would celebrate and punch the air, because Britain would be turning it on—they would appreciate and enjoy it. This is a weapons system designed to deal with the Brezhnevs of this world, not the bin Ladens. It is a cold war response to a cold war situation, and it is ill equipped to deal with the very serious external threats that we face. North Korea is a cartoon caricature of a totalitarian state. Are we seriously suggesting that we contain these nonsensical states with nuclear weapons? I do not even know whether we are an ally of Iran this week or an enemy, such is the state of continuing flux with all the former enemies who are now new friends. We cannot keep pace with identifying who these external threats are, but the only thing we must consistently have is nuclear weapons to threaten them. If there was ever a logic to nuclear weapons—it would be a perverted logic if so—it was the idea of mutually assured destruction during the cold war: “We could kill all you guys because you could kill all our guys.” It is utter madness to think that that is an applicable argument in this modern age with this new variety of threats. and his friends in the Conservative Government can sit at the top table. This is on top of the £30 billion of extra austerity promised to us by both the Conservative party and the Labour party. People are increasingly talking about a new alliance with the 30 per centers, as we could call them—the Conservative and Labour parties, which cannot get above that figure. That is a realistic prospect, because this will be the second time in a week that they have voted together on such issues. There is a new way of doing things in this country and a new alliance is beginning. Mr Marcus Jones: The hon. Gentleman is expressing the view that nuclear disarmament is very popular. When was the last time that a Government in this country were elected on the basis of nuclear disarmament? Pete Wishart: Let me tell the hon. Gentleman about the front page of a national newspaper in Scotland today showing that 60% of the Scottish people are now opposed to nuclear weapons. That is people in the constituency of the hon. Member for Paisley and Renfrewshire North, in my constituency, and in the constituency of the hon. Member for West Dunbartonshire (Gemma Doyle). This is now a popular movement that is beginning to gain traction. Gemma Doyle (West Dunbartonshire) (Lab/Co-op): Let me clarify this for the record. I have seen the figures that the hon. Gentleman mentions, and he excluded the “don’t knows” in that poll. In fact, fewer than half, not 60%, of people hold the position that he describes. Pete Wishart: The hon. Lady and I have been through lots of opinion polls in the past year. If she is so confident about her position, she should go out on the hustings and explain why Scottish Labour is a nuclear party that is prepared to spend £100 billion on Trident renewal. That is what she will have to do, and I wish her all the best in trying to get re-elected on that basis, because there is now an alternative. There is a new way of doing things. The Westminster establishment and the Westminster elite that run this place are beginning to experience real electoral difficulties. People across the country are recognising that the old ways of doing things are not good enough. Cold war weapons for an austerity future: that is what both parties are promising, and that is what will be rejected at the next election. This entry was posted in Uncategorized on January 22, 2015 by petewishart. Pete Wishart (Perth and North Perthshire) (SNP): It is a pleasure to serve under your chairmanship, Mr Howarth, for this all too short debate about what we affectionately refer to as “the other place”, although it would be hard to imagine or conceive of another place like it in the world. The House of Lords must now be about the most bizarre, absurd and ridiculous political institution anywhere in the world. Bloated, ermine coated and never been voted, it is now an affront to every sense and notion of democracy. There are now some 847 souls inhabiting the place, which makes it the largest political legislature anywhere in the world, save the National People’s Congress of China. Like the Chinese politburo, it is a stranger to democracy, but, unlike that, it cannot even claim to have a constituency or represent anyone whatever. Who are these curious, strange people who inhabit this gold-plated, red-upholstered Narnia? The vast majority are appointed: some by an independent appointments authority, but the vast majority by the Prime Minister from lists drawn up by the three establishment Westminster parties. No other legislature in the world is composed quite like that, other than Lesotho in southern Africa. Peers are not all appointed: 86 hereditary peers have a role in our democracy because of birth right. They can scrutinise, initiate and consider our legislation because they are the first son of a family that won a decisive battle in the middle ages. This is not an episode of “Game of Thrones”, but the fifth-largest economy in the western world. Mark Field (Cities of London and Westminster) (Con): I agree with much that the hon. Gentleman has said. Does he feel that it is any less desirable for there to be the first-born son of a family who have had an hereditary peerage for six or seven generations than it is for there to be to be a large-scale donor to a political party or a superannuated council leader? That seems to be how most of the people in that House have earned their places over the past 15 years. Pete Wishart: I am grateful to the hon. Gentleman, because I have a few choice words to say about the appointees to the House of Lords. If he bears with me, I will come to those very points. We have the hereditaries, but to make the place even more bizarre and surreal, 26 places are reserved for bishops—but not just any ordinary bishops: they have to be Church of England bishops. The House of Lords is the only legislature in the world that reserves places for clerics other than the Islamic republic of Iran. We cannot get rid of these people; they are not allowed to retire and they are not accountable to any constituency or electorate. The only way to get rid of them is through not the public of Great Britain, but the grim reaper. One of the few House of Lords reforms there have been in this Parliament is to allow these people to retire, but only one has come forward—so we made inducements to try to get them to retire. They can now use House of Lords facilities if they choose to retire, but they still will not do it. This is a ridiculous and absurd institution. The average age of Members of the House of Lords is now 70. How much does this political circus cost? Last year, it was almost £100 million. Our friends in the House of Lords do not come cheap—of course, they should not. They can claim £300 a day just for turning up to work. If that is too much trouble for them, they can claim £150 a day for working from home. The average peer—if there is such a thing—now costs a cool £28,000. Some of them do work hard. We have lots of examples of hard-working peers who turn up diligently, day after day, to put in the work, but all too many of them do practically nothing for the money they are given by the taxpayer. I do not want to pick on my Scottish peer colleagues, but I had a cursory glance at the activity list of some of them who notionally, I believe, look after Scottish interests in the House of Lords. Again, although some are diligent, hard-working individuals, all too many do practically nothing for this taxpayer largesse. Mark Field: In this debate, it is important that we look beyond House of Lords composition. The hon. Gentleman refers to Scottish interests being looked after by Scottish peers, but that is not their purpose. They do not have a constituency interest; they are there to scrutinise legislation. Will he go into a little detail about some of the worthy work done by a significant number of peers—perhaps not all 800 or so, but certainly several hundred of them—who play that important role even though they have no representative interests? 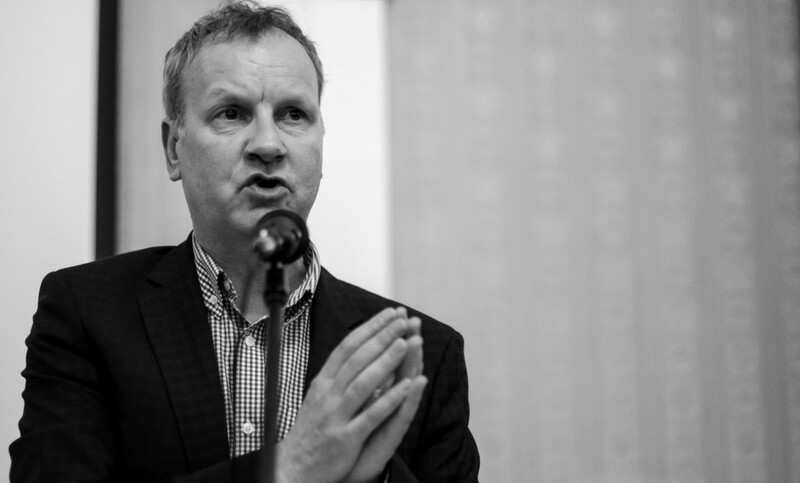 Pete Wishart: I am grateful to the hon. Gentleman. I beg for patience once again, because I am trying to paint some background on the activities of the House of Lords and the nature of its Chamber. I do want to come on to that point, but it is important that the taxpayers of the country understand the type of service that they get for the £100 million paid annually to sustain these people. Some of them work hard, as he said, but some do next to nothing. It is right and proper that we should look at these people, because we cannot get rid of them or do anything about them. They are not accountable to any constituency. Just as the hon. Gentleman and I, as parliamentarians, are scrutinised, it is right that we should look at the activities of our colleagues and friends in the House of Lords to assess whether we get value for money. That brings me back to the Scottish peers. They do not represent any constituency, but when Scottish colleagues and I turn up to events—I see that the hon. Member for Edinburgh North and Leith (Mark Lazarowicz) is here—we always see Scottish Lords in attendance, and again and again they tell us that our interests are looked after in the House of Lords on that basis. However, what we find is that Baroness Adams of Craigielea has claimed an eye-watering £50,000 but spoken in only two debates and never asked a written question since entering the Lords in 2005. Lord Kirkham has cost us £49,239, but spoken in no debates and asked no written questions. Further down the list, there is our noble Friend Lord Elder who has cost us £50,000, spoken in two debates and asked no questions. He did, though, as a good public servant, serve on the refreshments committee between 2008 and 2013. That brings me to the impeccable, cultured tastes of their lordships. In the past four years, they have got through some 17,000 bottles of fine champagne, which cost more than £260,000. It is, of course, in order for the hon. Gentleman to talk about what those Members do, how they are appointed and so on, but he is probably straying into inadvisable territory. Pete Wishart: I am grateful, Mr Howarth, and I promise not to do it again. The former Clerk assured him that he did not. The Parliamentary Secretary, Office of the Leader of the House of Commons (Tom Brake): Will the hon. Gentleman clarify that the champagne in the House of Lords is not free? It is paid for. Pete Wishart: I am glad that the right hon. Gentleman clarified that: the champagne is not free—but by God it seems that our friends in the House of Lords certainly like to quaff a good number of bottles of it over the course of a year. It would be wrong and remiss of me, however, to claim that the House of Lords was totally undemocratic. That is not the case and I would not like to mislead this House in that respect. The Lords do have elections, when the earls, the dukes, the ladies, the lords and the barons—the hereditary peers of the realm—get together and have one of their now regular by-elections to decide which among their number should continue to rule over us. It must be the weirdest constituency in the world—the most privileged and aristocratic electorate to be found anywhere. Mr Gregory Campbell (East Londonderry) (DUP): I congratulate the hon. Gentleman on securing the debate. He is waxing lyrical in his diatribe against the House of Lords and many of his sentiments will be shared across the nation. Perhaps he is coming on to this in his speech, but does he agree about the need for a more democratised revising Chamber or would he dismiss it entirely? Pete Wishart: I am not a unicameralist, believe it or not; a nation as complex and large as the United Kingdom needs a functioning supervisory Chamber. I will come on to suggest—I hope the hon. Gentleman bears with me—how we might make progress. This debate is about House of Lords reform, which I promise him I will come to. What is unacceptable, however, and what the British people should put up with no longer, is that circus down in the other place, with the ridiculous spectacle of lords, ladies, deference, forelock-tugging and the rest of it. We need a properly equipped legislature designed for the 21st century—not one designed for the middle ages, something out of the 14th century. I will come to that and to the clear principles that I wish to establish. Pete Wishart: I will give way to the hon. Gentleman one last time; I have been generous to him. I want to hear his speech. Mark Field: The hon. Gentleman has been extremely generous. He referred to the anachronistic election procedure for hereditary peers, but does he not recognise that that whole mechanism was put in place to ensure that the piecemeal reforms of 1999 were not the end of the matter? The sort of reforms that he and I would both support are perhaps more wholesale, but they require having the anachronistic hereditary element. Let us get rid of the entirety of what we have at the moment—sweep the whole thing away—but without the anachronism, there would probably be a reluctance to do the sort of radical reform that he and I would support. Pete Wishart: As a result of the House of Lords Act 1999, the vast majority of the hereditaries were removed, but we are still left with 86 or so, which has always been considered unfinished business. Action has been a long time coming; they are still there—we still have people who have a role in our democracy due to birthright. That is unacceptable. We are all democrats in this House. We cannot allow people to have a role in our democracy because they are the first son of their family. We might laugh, and it is easy to poke fun at an institution that is so singularly absurd and bizarre, but there is a sinister role in the activities of the House of Lords. It is sinister and open to abuse because it is an appointed Chamber. We do not bother with the whole exercise of letting the public decide and construct the Chamber down the road; instead, we leave it up to politicians—and the temptation for politicians is to stuff it full of their friends, cronies and placemen. If we need an elderly Member of Parliament to move on for a dynamic, thrusting, new young Member, give the old one a place in the House of Lords. That dynamic, thrusting young Member might lose his seat—I am looking at the hon. Member for Liverpool, West Derby (Stephen Twigg), although he did not take a place in the Lords—so let us cushion the blow and let him continue with his political career by giving him a place in the House of Lords. All too commonly we find that that is how the House of Lords is being used and abused. It is a place for cronies, placemen and time-servers. That is not good enough. Even that is not what bothers me in particular. The thing that concerns me most, and which should concern everyone in this House, are the donors—people who have a place in our democracy, in the second Chamber of Parliament, whose only qualification seems to be that they are able to give substantial and significant sums to one of the three main establishment Westminster parties. Those are the people who trouble me and who should trouble the rest of the United Kingdom, because lots of people appointed by the political parties seem to have no ability other than to manufacture large sums of cash to sustain those political parties. That is not good enough. My hon. Friend the Member for Na h-Eileanan an Iar (Mr MacNeil), who I was hoping could be with us this morning, tested that issue to its legal limit in the previous Parliament. He looked at the situation in the House of Lords, saw connections with the highest levels of the then Labour Government and said, “There is something wrong here.” He then asked the Metropolitan police to investigate, and we had one of the most dramatic political police operations of recent years—the “cash for honours” investigation. We saw a sitting Prime Minister, Tony Blair, being questioned by police and the arrest of his chief fundraiser and other members of his staff. Charges were dropped—none were brought—not because there was no case to answer or because a clean bill of health was presented, but because no evidence was found. The Crown Prosecution Service felt that it could not proceed with the case. We can all make up our minds about the type of influence that can be exerted on the CPS and the Metropolitan police to drop such a dynamic case. However, the situation was never given a clean bill of health and outstanding issues remain on donations to parties. All we have to do is to look at the list of appointments to the House of Lords, such as that from last year. Those recently ennobled made a total contribution of £7 million to the three establishment Westminster parties. After cash for honours and something as dramatic as that police investigation, we might have thought that that place would be beyond approach, that the Lords would have cleaned up their act and that there would be no suggestion, or even a whiff, of any type of abuse or wrongdoing. Not a bit of it! It would seem that they cannot change those ermine spots. Since then, we have had peers banged up in jail for abuse of expenses, cash for influence, cash for amendments and even some cash for honours. The House of Lords, because of its nature, because it is an appointed body and because it does not bother to go through the whole process of elections to be accountable to constituencies is rife with such abuse and activity. The British public deserve better. They deserve a scrutinising Chamber that is beyond reproach, that is democratically decided and that they can get rid of if they are unhappy with its activities. Our political institutions have never been held in such contempt by the British public. We see that day in, day out. Trust and confidence in the Westminster establishment, the Westminster elite who run this place, has never been lower and that establishment has never been held in such low esteem by the British public. I suggest that when the public observe an undemocratic, ermine-ridden House like the one down the road, it compounds their strong sense of alienation from the whole process of Government. Mark Lazarowicz (Edinburgh North and Leith) (Lab/Co-op): I should tell the hon. Gentleman and other hon. Members that I am going to a Committee sitting shortly, so I will not be able to hear the end of the debate. I agree with practically everything the hon. Gentleman has said. Does he agree that any revising Chamber that remains should be 100% elected by proportional representation, so that it will also be a powerful check and balance on an over-mighty Government elected, as at present, by the undemocratic first-past-the-post system? Pete Wishart: I know the hon. Gentleman’s record on these issues. He has been a big advocate of House of Lords reform, and I congratulate him on his efforts. I agree with him. I disagree, however, with the Labour party’s position on the issue. I debated it on television last night, in advance of this debate, and the Labour position—I do not know whether the hon. Gentleman buys into it; we might hear about it from the shadow Minister—is like a secondary mandate, whereby the institutions of the United Kingdom somehow decide among themselves who should inhabit the second Chamber. I am interested to hear more—the shadow Minister is shaking his head, and we will hear from him exactly what the Labour party’s plan is—but that was suggested in the House of Lords when I watched a debate on it. I am sure that the shadow Minister has his plan, but the second Chamber should be elected, as the hon. Member for Edinburgh North and Leith suggested. There is no substitute for democracy. We live in a democratic country, culture and society, so of course our Houses have to be elected. Things have to change; they cannot go on as they are. We have tried to reform and democratise the place, but every effort over the past 20 years has failed. This might be hard for its 850-odd Members—likely to be 1,000 in the next Parliament—but it is now time to concede that the whole place is unreformable. It is time to rip the whole thing up and start again. That is the only way we can get reform. As I have said, I believe that we need a second Chamber. We are a large and complex democracy, with asymmetrical devolution to all parts of the United Kingdom. I am open to any suggestion or plan for progress, but I do not think that it is for me, an oiky Nat Back Bencher, to suggest to the great and the good of the Westminster establishment parties the sort of model for reform that should be adopted. That is not my job—I will leave it to the great minds we see assembled on the Front Benches today to try to determine a way through. I am going to suggest several principles that I believe have to underpin a brand-new institution as we go forward. The first principle, as the hon. Member for Edinburgh North and Leith said, is that the revising Chamber must be exclusively democratic. We can no longer go forward with an appointed institution, and we certainly cannot have an institution with Members who are there only because of their family. That cannot go on—it has to be based on democratic principles. Let me tell hon. Members something embarrassing about this situation. I am a governor of the Westminster Foundation for Democracy, a task that I take very seriously because the foundation does fantastic work. I go around the world to speak in emerging democracies, to encourage good governance and support multi-party democracy as much as I possibly can. How can we give that message when we have the embarrassment of that undemocratic institution down the road? How dare we try to suggest to developing nations—countries that are struggling with democratic principles—that they emulate the United Kingdom? Are we asking them to get Lords or jump around like Santa Claus in their red cloaks? That embarrasses this nation. It is an embarrassment to me and to anybody else who does that work on behalf of this country around the world. The first principle, then, is that the revising Chamber must be absolutely democratic. That should go without saying. The second principle is that its membership must be in proportion to the main Chamber. It is preposterous that we have a second Chamber of such a size, with 847 Members, soon probably to be 1,000. Its size must be in proportion to the main Chamber. I suggest that it should be a quarter to a third of its current size—anything between 200 and 250 Members should be sufficient for the task required of it. That brings me to my third principle, which is also important: the role of the new Chamber should be clearly defined. My view is that that role should be exclusively scrutiny and supervision. I am unhappy when I see Bills initiated in an undemocratic House. During this Parliament, we have considered quite a few Bills that were initiated in the House of Lords and I am not happy about that. I do not think it right—elected Members should initiate legislation and design and shape it. Please, yes, let the other Chamber scrutinise and have a look at it, tell us when we have it wrong and improve it if necessary, but the second Chamber should be supervisory. One reason why House of Lords reform failed a couple of years ago was the spurious fear of Conservative Members who suggested that any elected Chamber would be a challenge to the supremacy of the main elected House—as if that would be a bad thing and that a little bit of a challenge would not actually help the elected Members of the House of Commons. Myself and the hon. Member for Edinburgh North and Leith are Members for Scottish constituencies and share constituents with MSPs—we even share constituencies with list MSPs. That spurs me on to make sure I do better, and I am sure that it is the same for the hard-working hon. Gentleman. The nonsense about having competition for the main House is spurious, but if we clearly define the roles and functions of distinctive and separate Houses, it would lay that issue to bed. Mark Durkan (Foyle) (SDLP): I commend the hon. Gentleman on securing this debate. When it comes to Lords reform, as he says, many Members of the House of Commons profess themselves to be very precious about the democratic integrity and authority of the House. However, they do not seem to be as precious about that when it comes not just to allowing Bills to be initiated in the Lords, but to allowing that the key amendments to Bills be passed there; even when there is a will for those amendments in the Commons, it consistently defers to the House of Lords to produce them. Pete Wishart: The hon. Gentleman is absolutely right. There is increasing use of the House of Lords as a Chamber that puts through Government amendments. He and I—and the hon. Member for Cities of London and Westminster (Mark Field)—sat through five days of proceedings on the Counter-Terrorism and Security Bill. I have always thought that I was elected by the people of Perth and North Perthshire to scrutinise and try to improve legislation, but we were told that that was going to be done in the House of Lords, and the Bill would come back to us amended. The use of the House of Lords for the Government amendment of Bills is inappropriate and has to end. If we properly align our two different Chambers and make sure they are properly distinct, those sorts of issues would end. My last principle is one I mentioned in response to the hon. Member for East Londonderry (Mr Campbell): get shot of the deference and the 13th century institutions, which are something like “Game of Thrones”. This is the 21st century, for goodness’ sake. We need our democracy and its institutions to reflect the age that we live in. Forelock tugging, curtseying and having lords, ladies, barons, dukes and earls is all nonsense—get rid of it. It is absolutely absurd and ridiculous. Let us have a modern functioning democratic Chamber that looks and feels like the community and society that we serve. If we can get that, we will be making real progress. Those are my principles for how we should establish a new and democratic Chamber to look after legislation. As I said, it is not up to an oiky Back-Bench MP to try to suggest the model, although I am attracted to the idea of using the European electoral regions as a basis for an election by proportional representation, as the hon. Member for Edinburgh North and Leith suggested, for the 200 or 250 Members we require. I have been on my feet for half an hour, so I will finish. We are coming up to an election, and every time we do, manifestos are stuffed full of promises to reform the Lords. We have had it all before. The Labour party is the great reformer this time around. I listened carefully to the Leader of the Opposition setting out his stall in that respect a few short weeks ago. Do it this time. Just do it! Labour had 13 years in power. Although it made some progress when it got rid of the hereditaries, more is required. I must say to the hon. Member for Liverpool, West Derby that Labour has not been particularly good in its relationship with the House of Lords: it was the Labour party that oversaw cash for honours. If he has concerns about the House of Lords, particularly its bloated nature, the first thing that the hon. Gentleman might want to do is stop putting people in it. Just stop it! There is no need to make a bloated House even bigger. The Conservatives have different issues with and attitudes towards the House of Lords, so they will probably continue to put people in it, but the Labour party needs to stop stuffing that place full with more cronies and donors. That is the first thing that the Labour party should do demonstrate that this time it is serious about House of Lords reform. I hope that, in the next Parliament, we can at last to make some real progress in ending this farce. It is a circus. It is not fit for purpose. It is anachronistic. It is ridiculous, absurd and bizarre. We need to ensure that it can do a proper job of scrutinising the activities of this House. Let us get rid of the whole shooting match and start again; let us put in place something that is fit for purpose and that the whole nation can be proud of. This entry was posted in Uncategorized on January 16, 2015 by petewishart.